After Instagram, Facebook and Snapchat, it is now the turn of YouTube to be reportedly working on a ‘Stories’ section that looks and works a lot like the identically-named feature that was first seen in Snapchat a couple of years ago, but has since been introduced by many of the aforementioned social media services, among others. According to Android Police, the Stories section in YouTube actually looks uncannily similar in terms to UI to the one on Instagram. As can be seen in the screenshots below, the only way one would be able to distinguish between the two is through the red-ring that surrounds new Stories on YouTube in a nod to the dominant color-scheme on the Google platform. 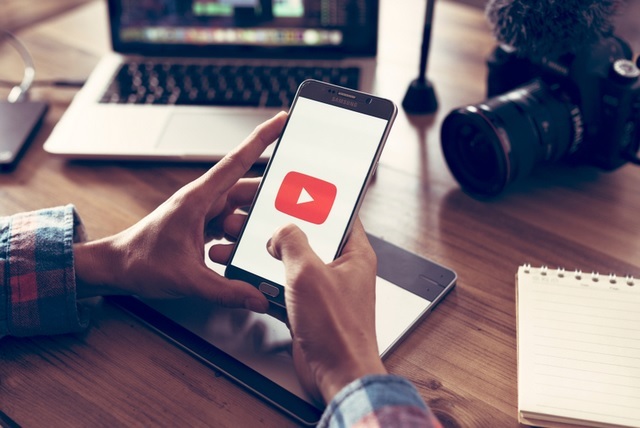 Unlike on Snapchat, however, YouTube isn’t currently offering users the ability to reply to the stories, but that may very well change by the time the feature is ready for prime-time. As things stand now, users can create stories by tapping on the ‘Add video’ option on the top right corner. It is a server-side change that Google has only just started rolling out selectively, with a wide roll-out expected at some stage going forward. Rumors about YouTube’s Instagram-like ‘Stories’ feature have been doing the rounds since last November, when the company reportedly started testing a new feature called ‘Reels’. 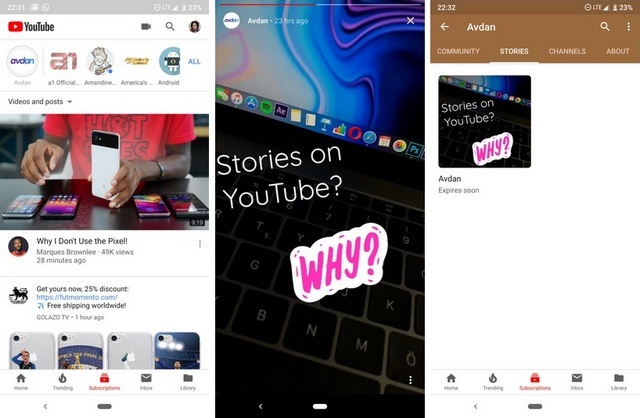 It’s not entirely clear, however, if Stories is the rechristened version of the same feature or if YouTube has re-imagined it entirely from scratch. Not much is known about the new feature just yet, but as it’s rolled out to more users, we’ll likely have a better understanding about how it works.